IronGate.Wine offers pristine wine collections from our Canadian company’s collector clients in the absence of a secondary retail market in Canada. Iron Gate has cared for many of these collections in a professional, subterranean storage facility since 2004, ensuring exceptional provenance and authentication. At IronGate.Wine we call this ‘Provenance of the Provinces’. Wines sold on IronGate.Wine have primarily been sourced from private collections in Canada. In Canada, there is no secondary retail market to resell wine and as such investment grade wines often sit in a single cellar since the time of acquisition. What does this mean for you? It means the wine you purchase from IronGate.Wine have been stored at optimal temperatures and humidity since the time of original purchase. Any collector will tell you that provenance is everything. Sourcing wines from a country where it’s very difficult for them to move from cellar to cellar is the logical way to help ensure perfection. IronGate.Wine is committed to sourcing you wines with exceptional provenance to optimize your investment and enjoyment. Wine fraud is on the minds of most collectors lately. 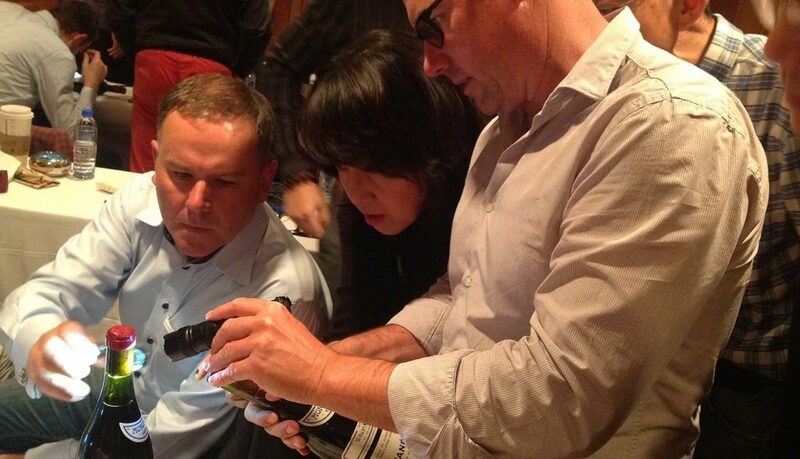 IronGate.Wine’s Warren Porter has studied under world renowned wine authenticator Maureen Downey of WineFraud.com and the documentary Sour Grapes (the story about wine fraudster Rudy Kurniawan). Based on his obligation to Maureen and The Chai Method, Warren has committed to source and sell wines only from reputable people and organizations. What does this mean for you? It means that extra care is taken proactively to ensure authenticity and we’re acquiring the tools to best the best in the world at doing so. We take this stuff seriously. IronGate.Wine is committed to selling you wines that are of the highest assurance to protect your investment. Managing many of the largest and deepest private wine collections in Canada and around the world. Owning and operating one of the first and largest wine storage facilities in Canada. Helping Canadians legally sell their private collections to international buyers. What does this mean for you? It means we have the wine knowledge and experience to help you to maximize your investment. Whether you are buying wine, storing wine, or selling wine, your wine collection is of the highest quality and value, is secured and stored in optimal conditions, and that you have the ability to maximize your investment when you are ready to sell. IronGate.Wine is committed to ensuring your investment and collection is protected.